A trusted Buyer’s Agent for commercial and residential projects. Whether you are relocating a business, buying a premises, investing or developing, our experienced Buyer’s Agents can help. Buyer Solutions is very active in the commercial real estate market and a trusted partner of professional businesses, builders and developers across Victoria. With our Comprehensive Buying Service we can develop a brief for your project and source sites or premises that will drive revenue for your business. We can target property that is currently for sale as well as off market sites for sale that are being sold quietly. We can work outside the square and target sites that we think will maximise the value and revenue opportunities of your project that are not for sale. We also offer an Assisted Buying Service where you source the site or premises and we take over and negotiate for you. What are the benefits of using a Buyer’s Agent? We seek to secure your site or premises for you at a price and on terms that are favourable to you. We understand your time and budget constraints and will be resolute in achieving an outcome that will work most favourably for your successful realisation of your project. In addition to purchasing commercial real estate we also broker better lease deals for our commercial clients. We know that in business, money matters and we negotiate advantageous lease terms and rental costs. We offer expert guidance on leasing and ensure you don’t rush the process or make expensive mistakes. Your Buyer Solutions broker will also limit your business’ exposure should you need to vacate or end the lease early so you can move into your new premises and get on with business free of concerns over unwelcome rent rises or an unexpected relocation. For commercial property investors with premises available for lease we can also help you secure quality, long term, stable tenants and negotiate a fair, secure rental yield. We can also manage your commercial property asset and conduct a commercial property portfolio on your behalf. 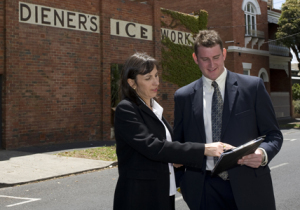 To find out more about our Commercial Property Services please contact Janet Spencer on 0418 101 146 or via email.